Double dotted notes can be very confusing when learning a new piece, or especially when sight reading! 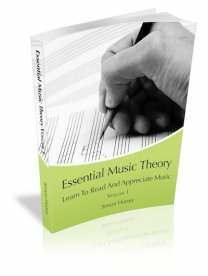 The key is to know how to work out the value of the notes, then you can be sure of where it is to be played in the bar, and how it fits in with the notes around it. If you aren't totally confident on how to play dotted notes click here to read more about dotted notes before continuing. 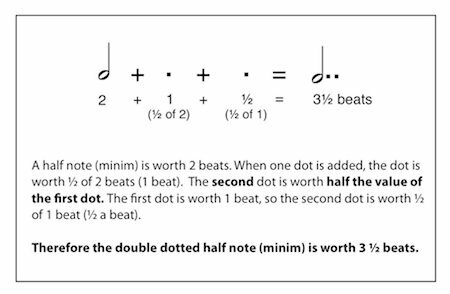 Once you are confident in the theory of dotted notes the notes with double dots become easy to cope with. 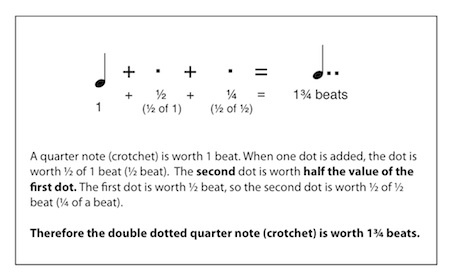 The rule is very simple, and is basically an extension of the dotted note rule.